Do you love sports? If you are looking for the best sports apps for your iPhone or iPad, you can see here a list of useful iPhone/iPad apps which help you to get latest news about your favourite sports on your device. Some of these apps also help you to watch live sports on your iPhone or iPad. Here is the list of top sports apps for your iPhone/iPad . Most of these sports apps are available free on the App store. If you love watching sports or want to get latest updates of your favourite sports, these apps would be very useful for your iOS device. With the help of these apps, you can easily get latest news and score about your favourite sports. Okay check out these sports apps on your iPhone and iPad. 1. 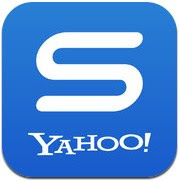 Yahoo Sports ( iPhone & iPad ) – Beautifully designed popular sport app for iPhone and iPad that allows you to get latest sports score, news and sports alerts. You can install this app free of cost on your iPhone/iPad. Very useful app that is integrated with some useful features such as – option to customize sport alerts and reminders, get breaking news from popular blogs and Yahoo sports, live game tweet and detailed information with session stats. 2. Sports TV Live ( iPhone & iPad ) – If you are looking for a way to watch your favourite sports live from your iPhone or iPad, this app is the best option for you. The app includes 60 sports stations to watch live sports. The app comes with push notification feature which lets you get latest score of your favourite sports and other game related informations. 3. Sports Scores & Alerts ( iPhone & iPad ) – Great free sport app that lets you get sports scores and alerts on your iPhone or iPad. One of the best ways to access sports alerts and scores quickly on your iDevice. 4. 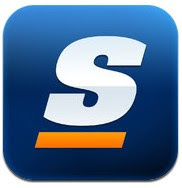 TheScore Mobile ( iPhone & iPad ) – TheScore Mobile is one of the best free sports apps on the app store and it helps you to get real time sports alerts on your iPhone/iPad. The app comes with lots of features and supports many popular games. With this app, you can access live coverage of Football , Hockey ,Basketball , Baseball , Soccer (EPL / Premier League, La Liga,Serie A, UEFA Champions,Bundesliga, MLS), Auto Racing , Golf , Tennis and more. Great free app that lets you access up-to-the-second real time alerts and sport scores. 5. 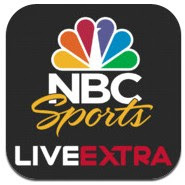 NBC Sports Live Extra ( iPhone & iPad ) – NBC Sports Live Extra is a useful free sport app that allows you to access on demand short video clips, browse online schedule to set reminders, follow your favourite sports and events to receive notifications and watch live sports streams and full events replays. Top sport app for iPhone and iPad users. 6. 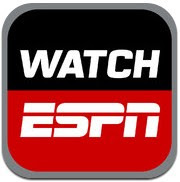 Watch ESPN ( iPhone & iPad ) – Great app to watch ESPN on your iDevice. 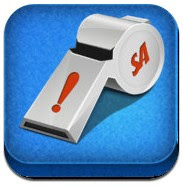 This app allows you to access live streaming feeds from ESPN, ESPN2, ESPN3 and ESPNU. Only for those who receive ESPN in their TV package. 7. 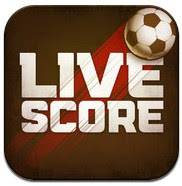 Live Score Addicts ( iPhone & iPad ) – Very useful app to get live scores on your iPhone/iPad. This app is integrated with tons of features such as – live coverage of more than 400 leagues, live match statistics, detailed reports of previous matches with top scorers, match winner poll, customizable push notification to receive quick alerts and much more. One of the best free sports app for iPhone/iPad users. 8. 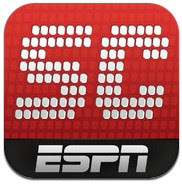 ESPN ScoreCenter ( iPhone ) – ESPN ScoreCenter is a useful free iPhone app that helps you to access live scores & news and share your favorite games and videos with your friends. Very useful app to get breaking news, live alerts, videos and detailed stats.